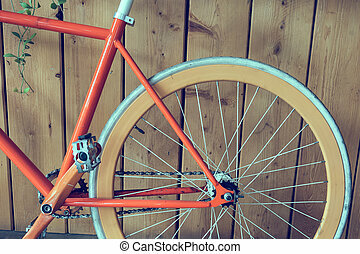 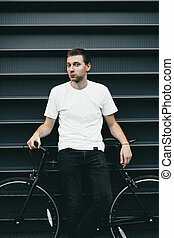 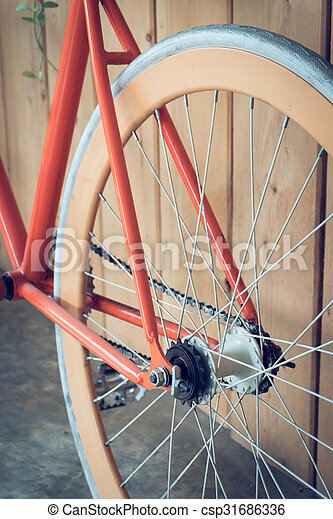 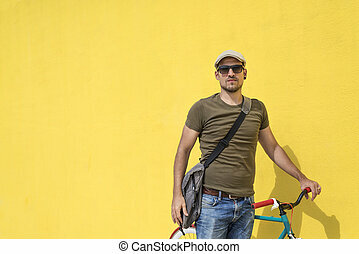 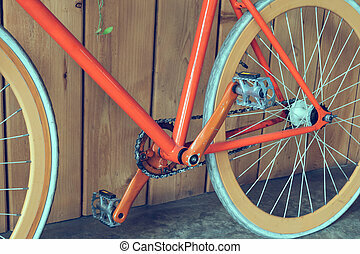 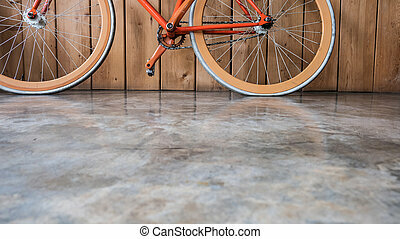 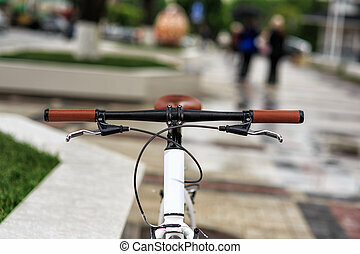 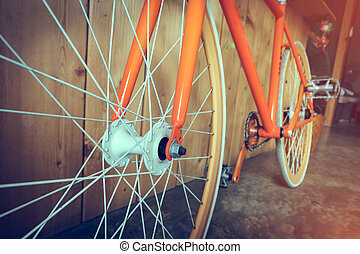 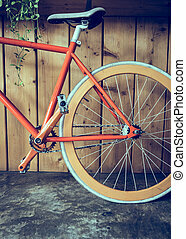 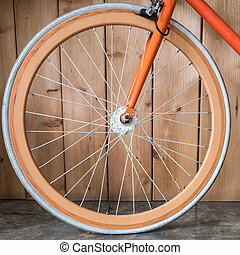 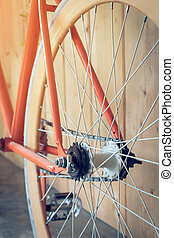 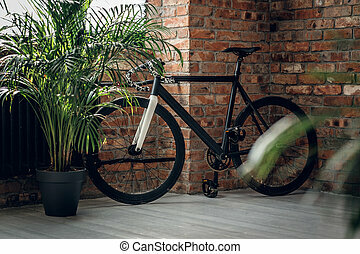 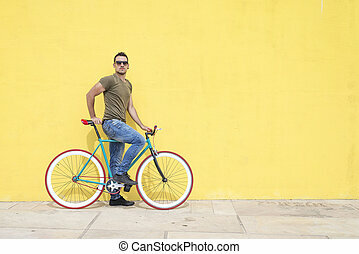 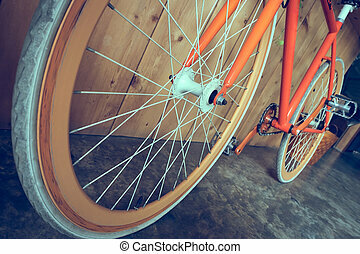 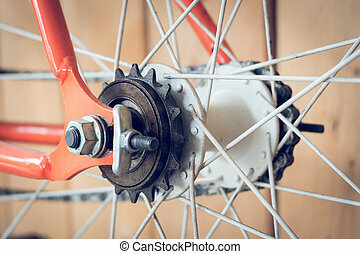 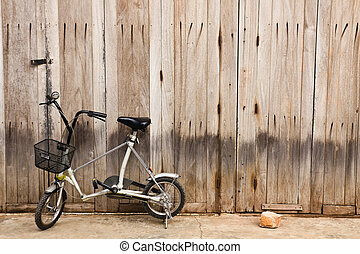 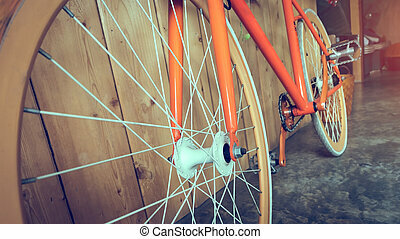 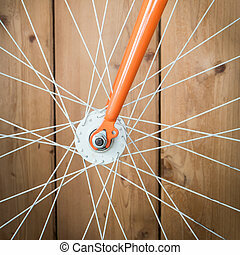 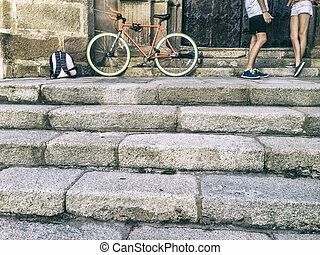 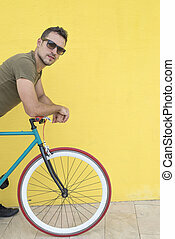 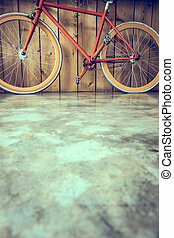 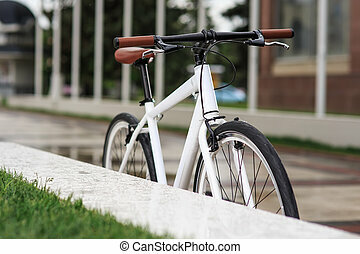 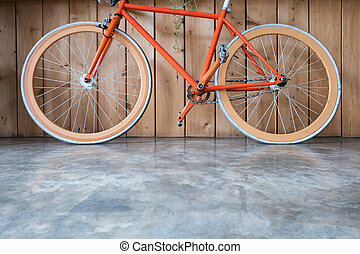 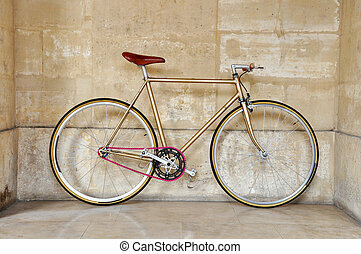 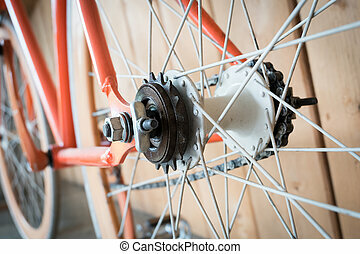 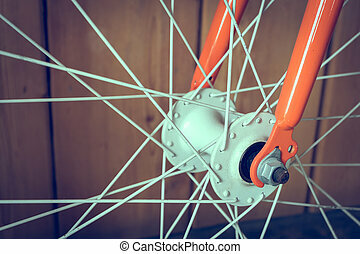 Fixed gear bicycle parked with wood wall, close up image part of bicycle. 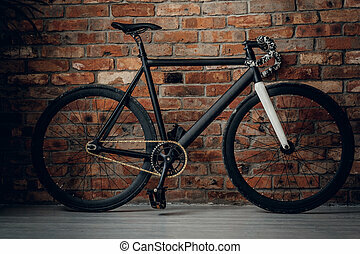 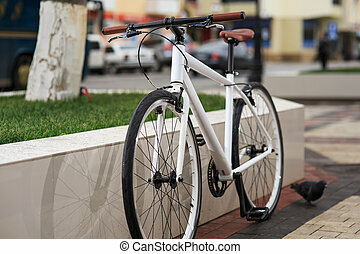 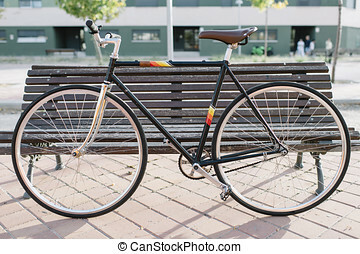 Sprint carbon bicycle with one fixed gear. 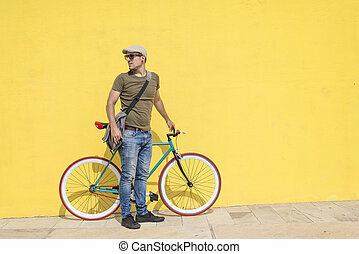 The wall from a brick background.